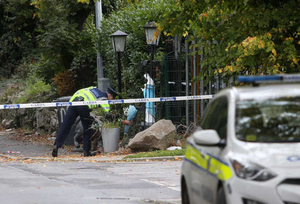 At least eight people have died in a fire in Carrickmines in Dublin, according to sources. 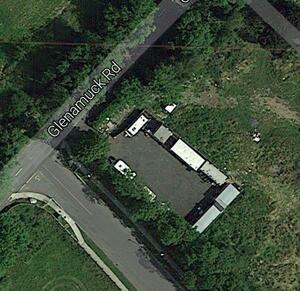 Emergency services were called to a halting site on Glenamuck Road at around 4am this morning. It is understood that most if not all the victims were members of two families. The Irish Traveller Movement has said among those who died in the fire this morning was a man, his wife and their children, who were all under the age of ten. 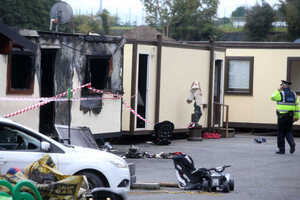 Gardaí have confirmed that nine people died in a fire at a halting site in Carrickmines in Dublin. 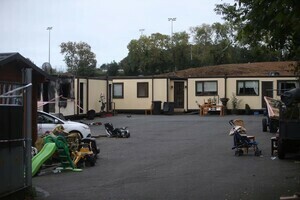 Posted in Misc and tagged Carrickmines, fire, Halting Site at 12:47 pm on October 10, 2015 by Broadsheet. Deepest sympathies to those who loved them. I see that the doyenne of news media the journal.ie have had to close the comments on this story. Place is full of racists. I can’t fathom the mentality on that site. may those people rest In peace, an awful awful tragedy. The Journal is an absolute disgrace. I saw that thread, too. Every time there’s something about Muslims and Travellers and refugees, all sorts of flat out racism is published on their site. People have racist beliefs because they heard them from other people. The Journal seems perfectly ok with their site being used to perpetuate the most disgusting stereotypes of all sorts of sub sects of people. To be fair they did remove it after about an hour. While my comment wasn’t racist it was certainly offensive and I suppose I was hoping they’d leave it up and people would attack the comment because they do allow a lot of right wing gibberish posted here. Anyway, fair play in fairness. Is this another test, the b**llsh!t test? The Irish Times has the most odd-ball commenters I have ever seen. It’s standard fare for a news story including travellers/muslims are loud mouth ordinary Joe Public types. But the IT seems to have attracted a very specific vindictive and often dogmatic group that seem hell bent on writing wordy insults each other through multiple threads. Freedom of expression be damned I want a janitor with common sense and an IP blocker. The Journal comment section is a cesspit of hatred and racism with a strong pro-Sinn Fein/IRA bias. Most of the comments seem to be written by illiterate morons. What a lazy excuse to target Sinn Fein. 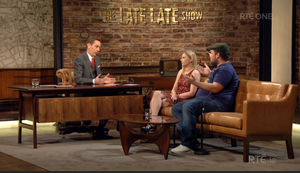 Are all of Young Fine Gael working overtime now to slur all support for Sinn Fein and other leftist parties? You’re pathetic. Relieved to say I deleted the Journal app during the week. Comments section just getting more and more depressing. It’s grim place. I did the same about a year ago. It was a good decision. Shocking and devastating news for every single person involved. My thoughts are with the heartbroken families and also with the fire-fighters, ambulance paramedics and gardai who responded to the call and fought to save their lives. I just looked at The Journal thread. It’s not that bad – one person (Fiona deFreyne) is making some valid points but is getting shouted down by the outrage junkies. It’s interesting to see Rabble are carrying this story seeing as they’ve ignored any news reports that refer to traveller criminality. Why are you bringing that up now, you weirdo? The mask slips. Five children dead, including a baby, and you want to blacken them all as criminals. Dickhead. No I don’t. Your great leap forward is odious. That’s not what he was saying at all. He was having a dig at rabble. You’re a very sad person Peter Dempsey. You must hate yourself quite a bit to come out with that kind of commentary. Heartbreaking to see a family wiped out like that. I hope the survivors aren’t too badly injured. A whole family wiped out. I know I hugged my kids that bit tighter and longer after I heard. Words cannot describe the enormity of this tragedy. Just shocking. RIP to them all. It’s a dark day for some. But a normal one for you. It’s amazing how angry and so eager and quick to take offence you so-called liberals and hippies are all the time. There is a time and a place, many times, many places, for your input. Don – ‘If you dont have anything good to say then best to say nothing at all’ would apply here I think. you’re a grand wee girl Peter has anyone ever told you that? My condolences to the wider family. Why did it happen? That’s a really strange comment as if to say you even extent your sympathy to Travellers because even they are humans? This country is going to shite with the social apathy towards people who aren’t exactly like yourself. perhaps it could be tempered with the understanding that we never speak ill of the dead. BS, seriously? You’re going to leave that racist nonsense up? What is wrong with you? Travellers are not a separate ‘race’. That notion only serves to give some people a reason to hate them and differentiate them more from other Irish. Some people really are stupid morons.